In this day and age, many of us suffer from ailments, traumas, and diseases on almost a daily basis. These issues often arise when we ignore symptoms for too long. There are many ways through which spinal misalignment occurs. What’s important is to know when to see a doctor. So, My Spine is Misaligned. How Did This Happen? When you put your body through stress, either physically or emotionally, your body is affected and back pain and other spinal discomfort can occur. Even a minor fall or accident should be given proper attention. Sometimes these small traumas can end up turning into a greater problem for your back. The same is true for your diet. Some people begin feeling symptoms of spinal misalignment when they’re not eating a healthy diet, or when they’re practicing habits such as smoking and drinking. A 2003 review in the Journal of Internal Medicine of 50 studies that involved 512,399 people found that people who smoke are at an overall higher risk of bone fractures, including spinal fractures. The same review also found that quitting smoking seemed to help decrease overall fracture risk. According to the North American Spine Society, pain is often the result of complex interactions involving both physical and psychological factors. Stress’s impact on your spine could come from doing any kind of repetitive work while experiencing pressure. There are numerous mechanisms as to how stress pounds the spine, but research done at Ohio State University has recently shed some light on the subject. A group of college students repeatedly lifted 25-pound boxes while a special measuring device calculated the pressure on the students’ spines. During the first half of the experiment researchers offered words of encouragement to the participants while they were performing their tasks. In the second half of the experiment, the students were criticized, in order to provoke a feeling of stress. While some of the students were not affected, others, did not handle criticism well demonstrated an almost 27% increase in pressure on the spine. While this research was focused on job-related pressure, it was concluded that the same findings could occur “anywhere exertion and stress combine. Why is Our Spinal Health so Important? Whether you’re going to the gym, walking your dog around the block, or even just living your day-to-day life, you must be extra careful with your spine. Always try your best to minimize the risk of spinal misalignment and to see a chiropractor whenever you suspect that there may be an issue. 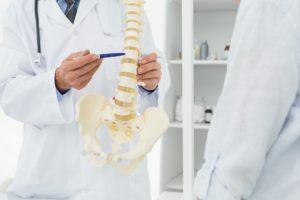 Oftentimes, people mistake a spinal injury for a minor bruise; this misconception is risky, as a spinal injury may develop into a larger issue over time. If you don’t know how the problem began in the first place, you will likely keep repeating the same motion or activity which will only worsen the matter. Make sure that you address all your physical and emotional concerns with your chiropractor. Focus on bettering your habits and the way that you treat your spine while exercising or even picking something up. If your spine is already compromised or in pain, heavy lifting at the gym is a big no for you. Keep your activities light and simple until you are able to see your chiropractor. Be sure to treat your body well by engaging in healthy practices and by scheduling regular visits with your chiropractor. Take the first step by scheduling your appointment at Wyoming Valley Chiropractic Center today!